Innovation in our commitment to quality and care. IDF™ has a reputation for creating quality nutrition in real food ingredients, and for demonstrating industry leadership for safety, fairness, animal welfare, and environmental responsibility. Our latest innovation lives up to our name: new IDF® Organic Chicken Ingredients, including our flagship CHiKPURE™ Organic Chicken Protein Powder. 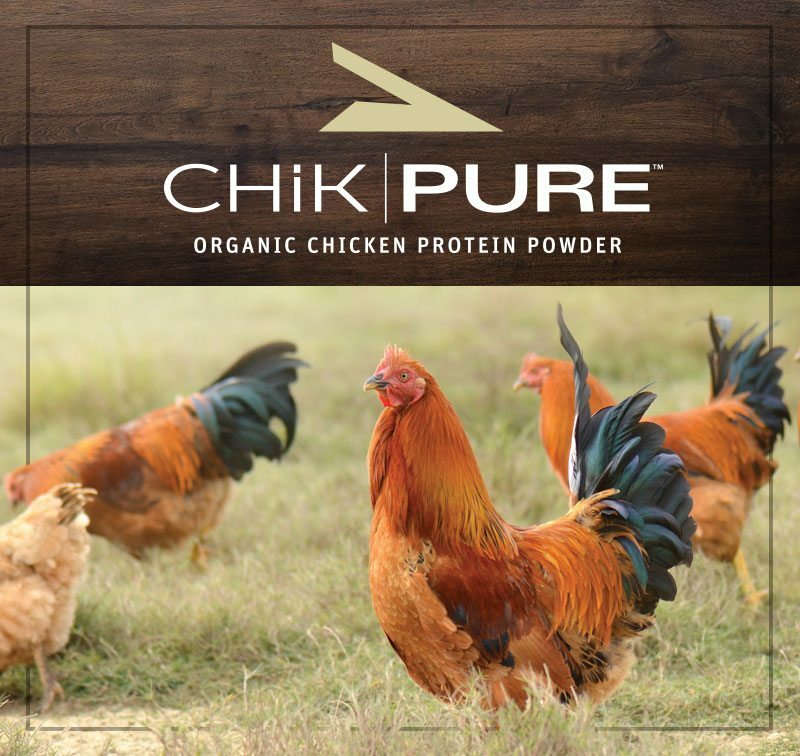 Now, food formulators, supplement makers, and consumers can enjoy pure confidence in clean, natural nutrition, with CHiKPURE™—high-quality complete protein ideal for use in recipes, snacks, and ready meals for kids, seniors, and families who want the extra assurance of organic certification. Take a look at our recipe videos for inspiration on tasty, trendy, crowd-pleasing meals and more – all made possible by the organic goodness of new CHiKPURE™ Organic Chicken Protein Powder. And watch for more information about our full line of organic chicken protein, broths, and fats, coming soon. CHiKPURE™ is a patent-pending technology.